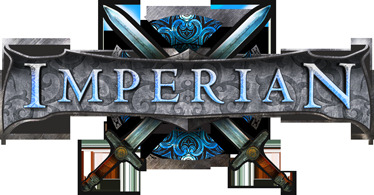 By my best estimation, almost all of the cities and councils of Imperian are coming up on having first been designed and constructed over 12+ years ago, and in that time the administration has obviously done their best to make additions and changes and to adapt them to the modern realities of Aetherius. I'd like to know your thoughts on what makes your particular city or council feel unique and atmospheric. Is it the random environment messages that fire off every few minutes? Is it the scope and diversity of denizens and their interactivity? Is it the may that the map looks, or the layout and structure of the rooms? Room descriptions? Items or features in the rooms? This is just an open discussion that I'm inviting all of you to participate in! I recently went from Antioch to Kinsarmar and having been in every other city/council but celidon at this point I got to say that it really feels like a team more than any other. Everyone has their own individual strengths and weaknesses but more than anywhere there is a constant push to help one another overcome those weaknesses, and work towards one another's strengths. Alvetta, to me busts her **** to keep Kinsarmar running smoothly, keep people active and make doing things for the city mutually beneficial. Coming from Antioch where most of the things I suggested did not fit with their way of life, it is a breath of fresh air to feel some value in Kinsarmar and to have a unified front/goal. I also feel like being part of Kinsarmar forces you to a higher level of expected play than I had been before. I also like the outside entrance of the city because it is good for PvP hehe. I believe for me in that Ithaqua is a bit unique from Antioch (his birthplace) are its ideals that are more of a match in his style and interests. Not so much on other aspects of Ithaqua in the lore of spirits of the wild etc. It is also unique to me in that with the right people, you can dare to open new or bend the line(s) of rp that can likely go against the theme of anti-magick(if there is even one!) To which it was actually fun to have been part of that and it was quite a bold risk that paid off for the sake of some sort of roleplay and conflict. I like Ithaqua for the reason also that its not for the faint of heart and it is cold-hearted in various aspects. My character isn't the woodsy type but as I stated earlier, the feel and style of it work well for him. However and hopefully in the future, some sort of forced conflict roleplay will open up in that it would stir many of the Ithaquans out of their comfort zones and interact in new and adaptive ways that may push their rp. The atmosphere otherwise needs a bit more work as its often silent even when asking for some good ol' comradery participation. For me, the room descriptions and mobs of Antioch and her towns both contribute strongly to the big city atmosphere. For the room descriptions, it's the bustle that had been worked in them, as well as the names of the roads and places - even as a new player, I could tell the whole area is chock full of roleplay history. The guards are very militant, which doesn't necessarily go well with the current non-aggression aspect Antioch has been taking on, but it helps reinforce the feel of being in a Protectorate. Having mobs from the town come peddle their wares in the big city, and workmen all over the place looking busy, adds to the city's feeling of liveliness as well. I always noticed the Shuk in Antioch was a cool gathering point which helped with the feelings of community there.